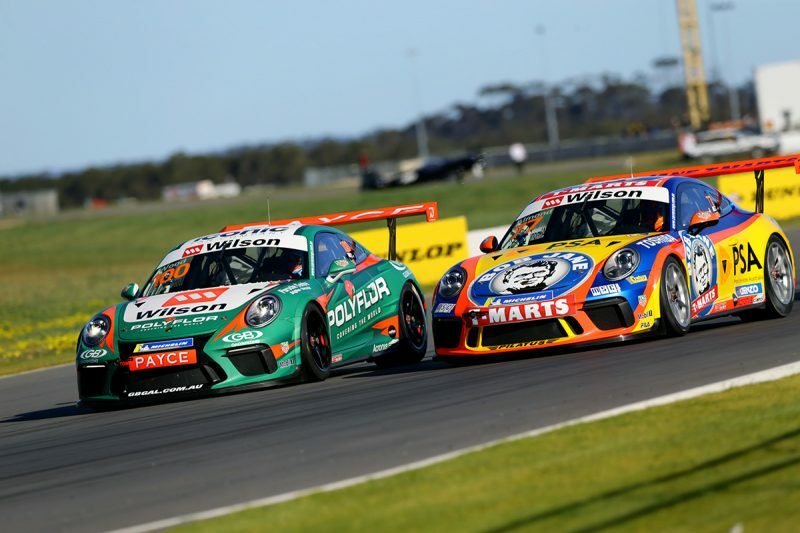 Michael Almond took out his maiden Porsche Wilson Security Carrera Cup Australia round win after claiming a second race win of the weekend and securing a podium in the final race at The Bend Motorsport Park. The South Australian hit the lead on the opening lap of Race 2 before resisting intense race long pressure from David Wall and Jaxon Evans to win. Dale Wood headed the field into the opening turn but fell to fourth before the end of the lap, opening the way for Wall to launch an attack on the new race leader for much of the eight lap encounter. Almond was resolute, even withstanding the efforts of Evans on the final lap after the McElrea Racing driver moving around the outside of Wall at the start of the penultimate tour before hustling the leader to the finish. 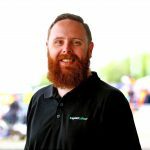 Nick McBride was a non-starter following Saturday’s crash with Adrian Flack, who charged from the rear of the grid to finish second in Pro-Am class behind Roger Lago. A lightning start from Evans saw the New Zealander seize the lead off the line in Race 3 as Almond bogged down and dropped to fourth before the field reach the first corner. Wood found himself second with the recovering Almond third after he put a move on his Aaron Love at the penultimate corner at the end of the opening lap. Love fell another place when Wall drove around the outside of him in the complex at the start of the next lap. A move on Evans on Lap 5 saw Wood take the lead for the first time, quickly edging out a half second advantage over the McElrea racer who had Almond in close company. Once clear, Wood was never challenged as he claimed his first win of the weekend, while Almond’s third was enough to take his first Carrera Cup round success with Flack taking out the Pro-Am win in Race 3.